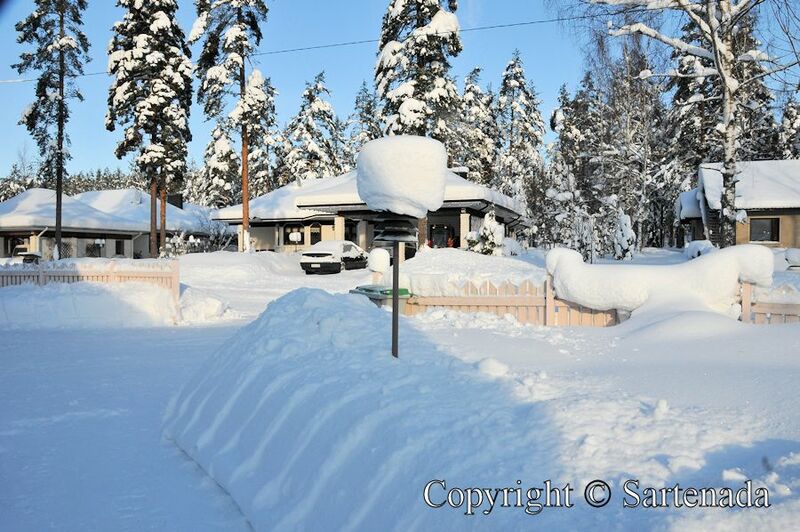 Our previous home, in which we lived nearly 20 years, was situated 45 kilometers / 28 miles to the North of Helsinki. My photos show that even in the south, there was snow. 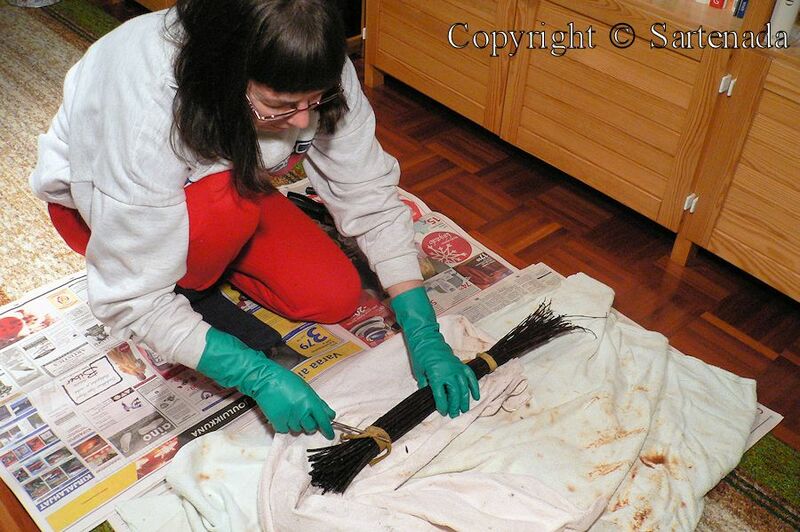 The photo 15 shows, if You wonder for what purpose there is the stand; it is the stand, which I used to beat carpets. 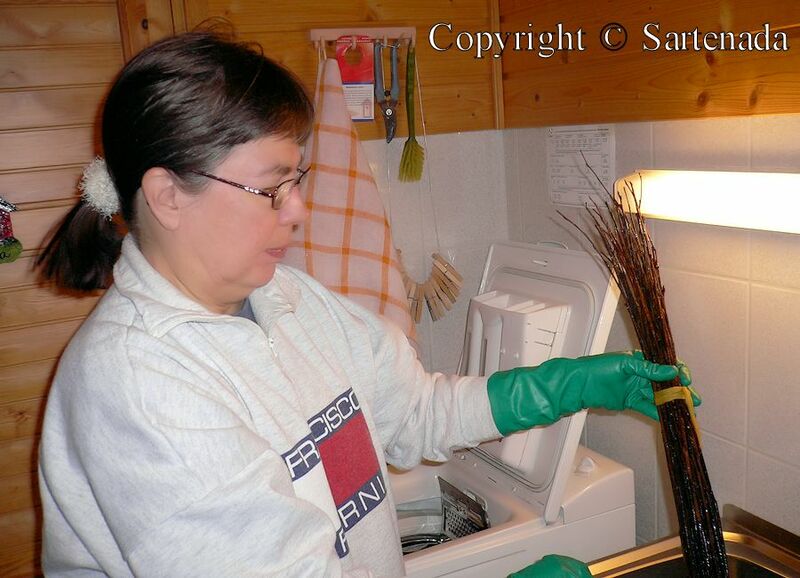 In Finland we have habit on countryside to beat our carpets few times during the year and if possible once a year to wash them on carpet jetties. In principle, our carpets were quite clean, because we were barefoot in our home. In Finland, we are barefooted inside, if not all, we are. 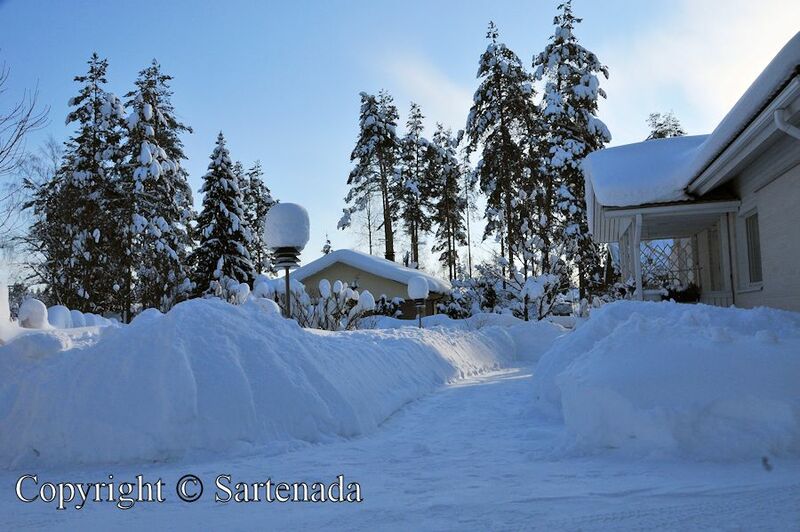 My photos also reveal, that to shovel snow, I used snow shovel only, no machine. 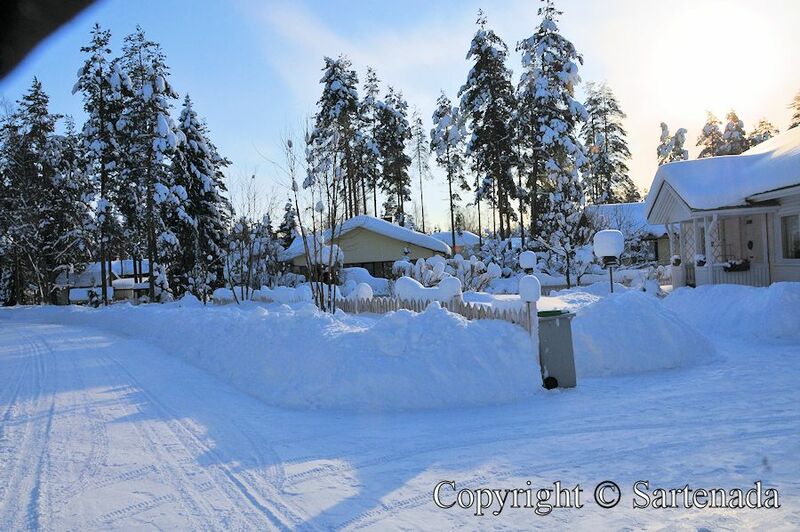 To shovel all paths to (woodshed, storeroom, garage and carport) and area which we needed in winter, it took generally about one and half an hour. The max time was three hours. This meant that I had no need to visit gyms! 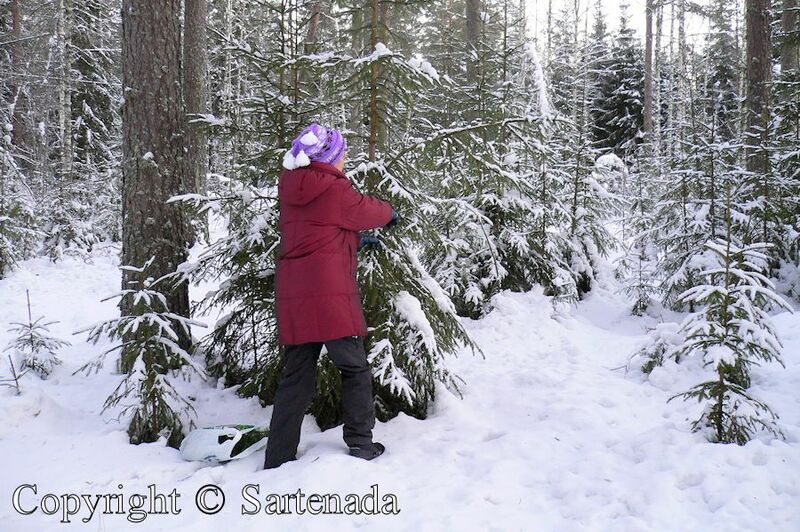 Shoveling snow, needs planning, because during five winter months, the amount of snow can be big. At the beginning of winter, it must be “transported” further from walking paths. 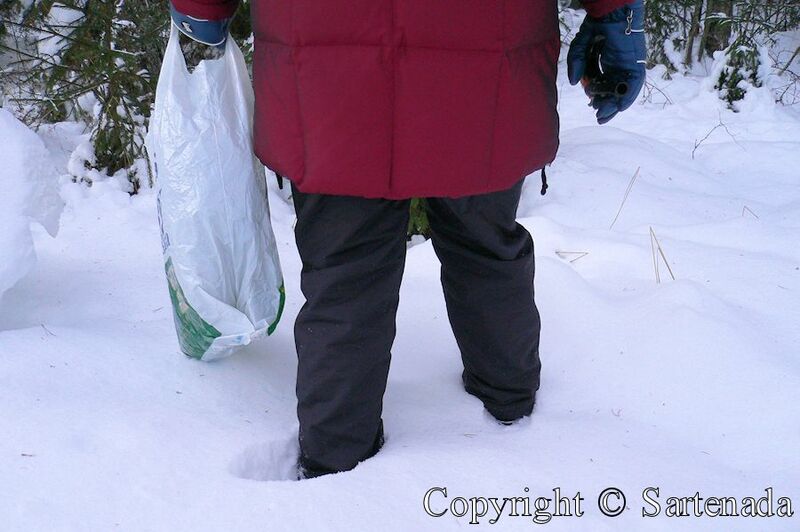 Later all free zones has been used and there is snow everywhere except small footpaths. 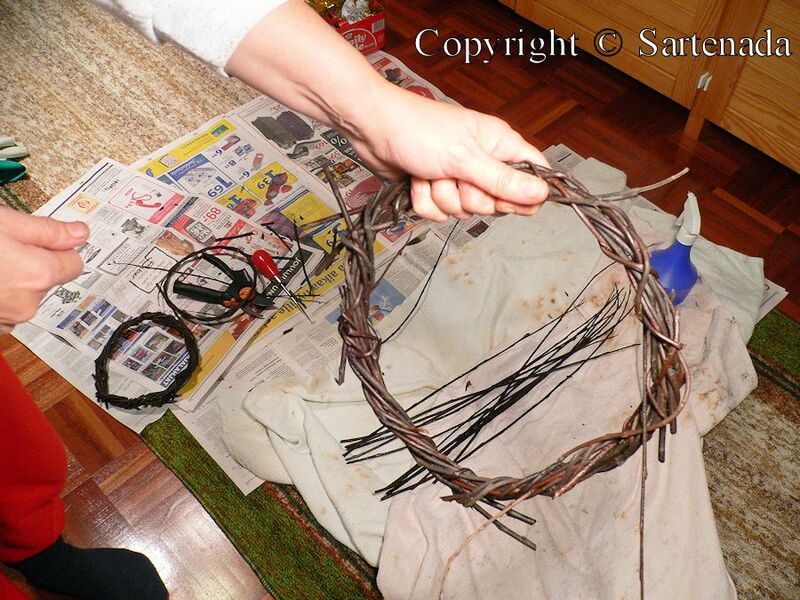 Last 16 photos from 2005 show how to make a Christmas wreath. It is very simple and basic. 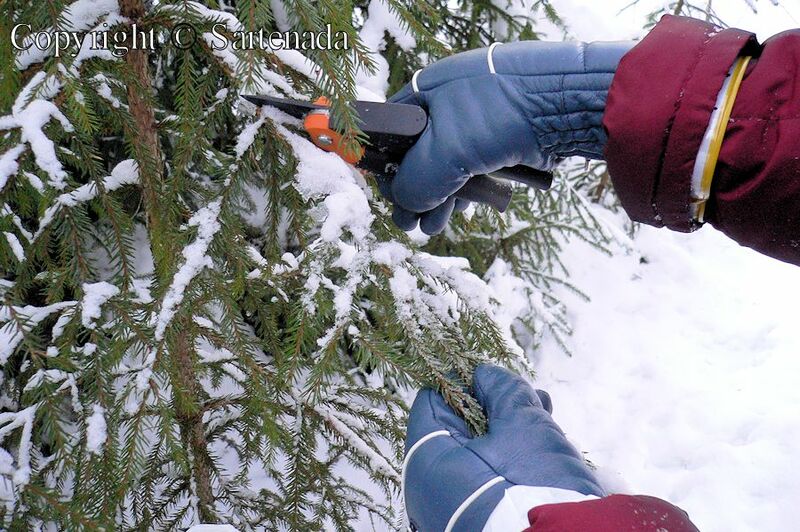 To make it, You need only secateurs for cutting small branches of spruce or juniper; wire, willow branches, Christmas ribbon and jungle bells. 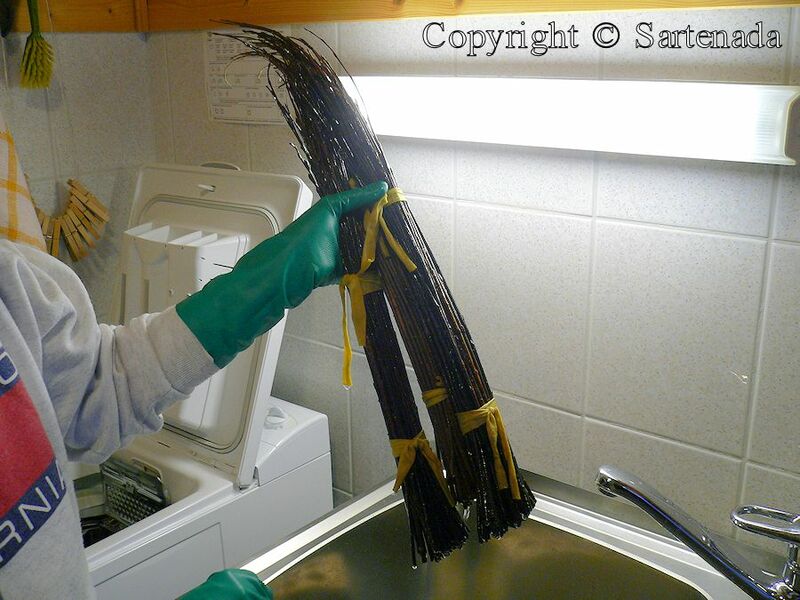 Willow branches we collected already in the autumn, so we had to soak them in the water that are flexible again. Their treatment is a “dirty chore” to do. 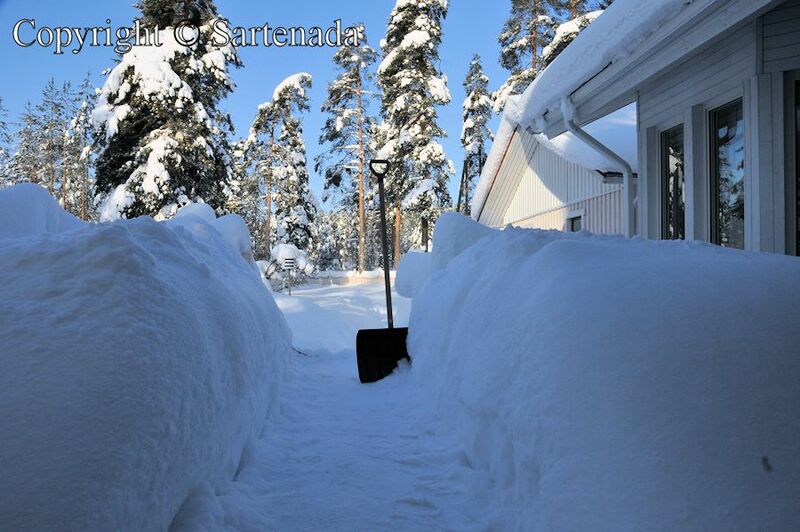 Nuestra viejo hogar ha situado a 45 kilómetros / 28 millas al norte de Helsinki. Mis fotos muestran que incluso en la sur, allí había nieve. La foto 15 Vos muestra, si usted se pregunta para qué propósito existe el tendedero, que es el puesto para golpear las alfombras. 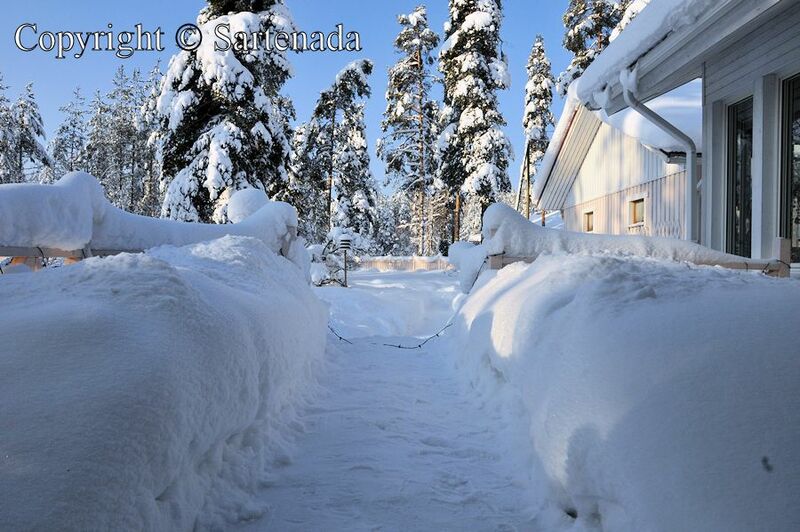 En Finlandia tenemos la costumbre de batear nuestros alfombras durante invierno varias veces y durante un año y si es posible, una vez el año para lavarlos en embarcaderos de alfombra. En principio nuestras alfombras eran bastante limpios, porque estábamos descalzos en nuestra casa. Mis fotos también revelan que para quitar nieve usé pala de nieve solamente, ninguna máquina. Para palear todos los caminos y la zona que necesitábamos en invierno, se tomó generalmente cerca de una y media hora. El tiempo máximo fue de tres horas. Esto significaba que no tenía ninguna necesidad de visitar al gimnasio! Últimos 16 fotos muestran cómo hacer una guirnalda del navidad. Notre vieille maison était située 45 km / 28 milles au nord d’Helsinki. Mes photos montrent que, même dans la sud, il y avait de la neige. Les photos de 15 montre, si vous vous demandez dans quel but il est le ratelier, c’est le ratelier où j’avais l’habitude de battre les tapis. En Finlande, nous avons l’habitude de battre nos tapis plusieurs fois par an et si posible, une fois par an pour les laver sur les jetées de tapis. En principe nos tapis étaient assez propres, parce que nous étions pieds nus dans notre maison. En Finlande, En Finlande, on ne porte pas de chaussures à l’intérieur. Mes photos révèlent également que de pelleter la neige, j’ai utilisé une pelle à neige, pas de machine. Pour pelleter tous les chemins et zone dont nous avions besoin en hiver, il a généralement pris environ une heure et une demi-heure. Le temps maximum était environs trois heures. Cela signifiait que je n’avais pas besoin de visiter les gymnases! Les 16 dernières photos montrent comment faire une guirlande de Noël. A nossa antiga casa estava situada 45 km / 28 milhas ao norte de Helsinque. Minhas fotos mostram que, mesmo em tão ao sul, havia neve. A foto 15 mostra, se você quer saber o que é o propósito rack, é o rack onde eu costumava bater o tapete. Na Finlândia temos hábito de bater os nossos tapetes algumas vezes durante um ano e, se possível, uma vez por ano para lavá-los no cais do tapete. Em princípio, nossos tapetes foram bastante limpo, porque estávamos descalço em nossa casa. Na Finlândia, não usamos sapatos no interior de casa, nós somos com os pés descalços, sem meias. Minhas fotos também revelam que a pá de neve que eu usei o pá de neve só, nenhuma máquina. Para pá todos os caminhos e área que precisávamos no inverno, levou geralmente cerca de uma e meia hora. O tempo máximo durou aproximadamente três horas. Isso significava que eu não tinha necessidade de visitar ginásios! Os últimos 16 fotos mostram como fazer uma guirlanda de Natal. My, that’s a lot of snow! And a lot of work to shovel it! It looks as though one would almost have to shovel it in order to stack it in the right places! How beautiful it is with so much snow though! The wreath making is interesting and the wreaths are beautiful! Made like that, by hand, they are very special! Isn’t it interesting that shoveling needs planning! 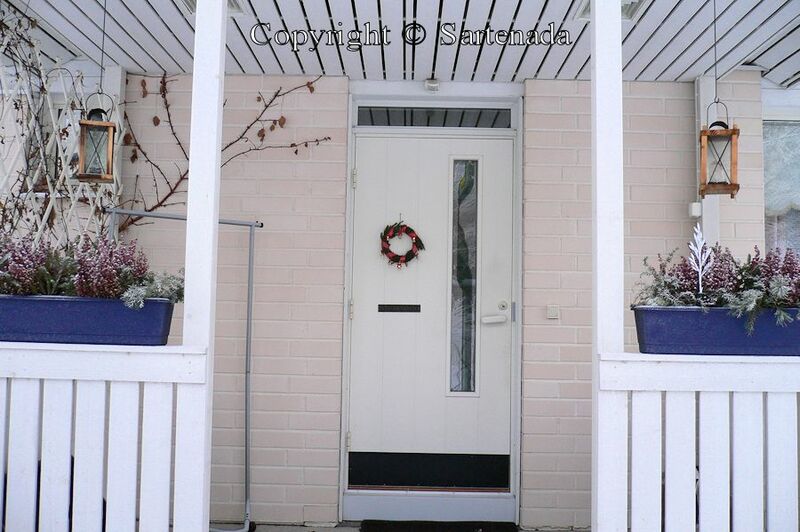 I am glad that You loved my post and photos which presented our former home in which we lived nearly 20 years. The hardest part was shoveling snow away from our gate, because the snow tractor pushed all the snow to it when it came the forest, because our house was the first. Generally, it took from half an hour to 45 minutes. This now I had to shovel to our lot, not to the road. Thank You commenting. The snow is so pretty, but it’s easy to admire it when I don’t have to shovel it. I can believe it would be very good exercise to have to do that every few days. Happy Christmas to you. Yes, snow is beautiful and the “hard” shoveling is great free exercise for good health. 🙂 Thank You commenting. Yes, it was true. 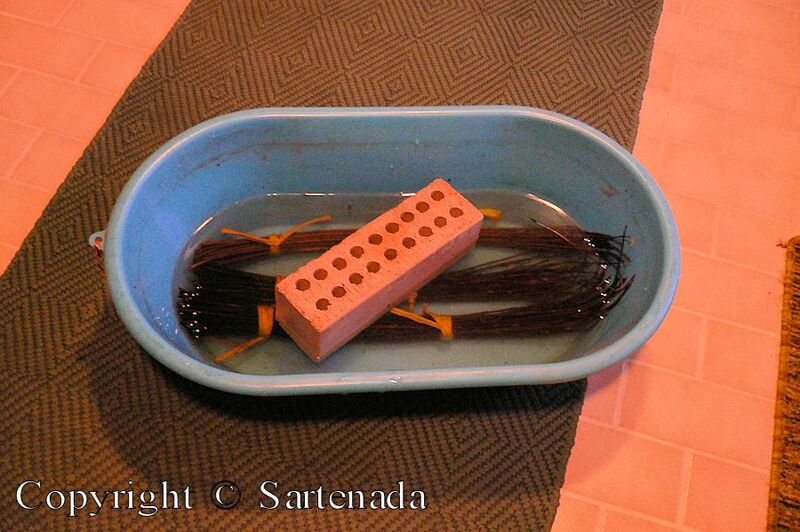 After shoveling, I had to take a shower. When I was retired and my wife was yet working, I had to wake up early at 5:30 in the morning to shovel that she could drive to work. Anyway, nice memories follow us when we look at our photos and remember many things, which happened to us there. Thank You commenting. Thank you leaving your nice comment. 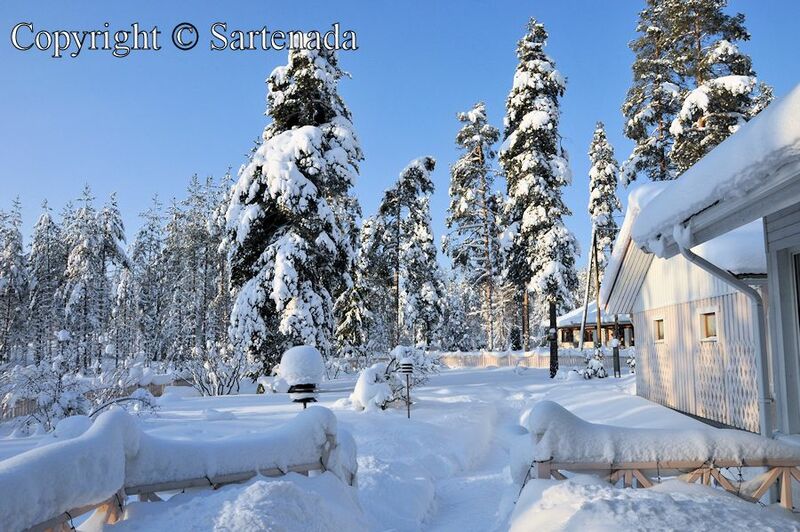 Here in Finland, snow makes Christmas in people’s mind. the photos of snow gave me a nice feeling and hope for nice christmas. It is unbelievable that christmas is almost here and there is no snow in helsinki. thanks a lot for posting the photos of the wreath making. now I know how to make it. 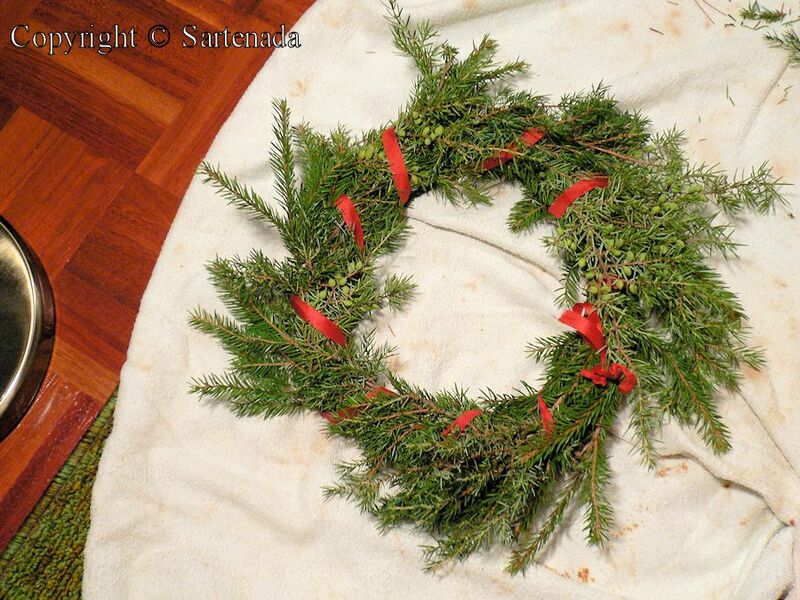 I am glad if my photos gave to You an idea how to make a Christmas wreath. 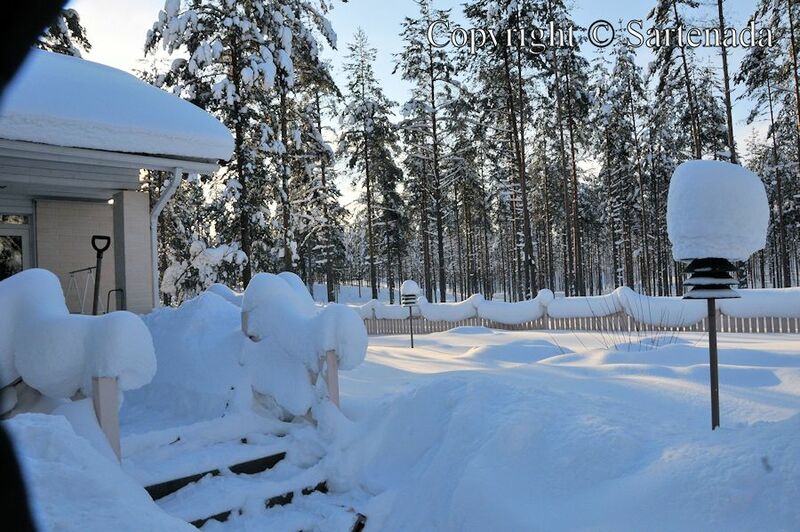 We are at this moment in Oulu and we have snow, but it started to melt slowly. Thank you commenting. Lindas fotos, obrigada! Ainda nao temos neve aqui na Alemanha – there’s no chance of a white Christmas hier! Abracos, desejo que o seu Natal juntamente com sua família, seja brilhante de alegria, iluminado de amor, cheio de harmonia e completo de paz. Feliz Natal! Fico feliz que você gostou do meu post e suas fotos. Obrigado por seu comentário tipo. Desejo Feliz Natal pra você. De belles images en ce premier jour d’hiver. De quoi faire pâlir de jalousie les vacanciers Français qui renoncent à la montagne par manque total de neige (et qui viennent du coup sur le Bassin d’Arcachon, !). J’suis heureux que t’as fait la remarque si gentil. Merci beaucoup. Belles fetes à toi et aux tiens. The wreath is beautiful, perfect in its simplicity. Always impressed by Anja’s creativity. I did not have long enough glass beads to copy her lovely himmeli but I have ordered some on eBay, so I will certainly try it in the new year! Thank you for Your kind comment. I am glad that you loved my snow photos. I wish that You could make Himmeli and we could admire it in next New Year! A snow scene is very beautiful. 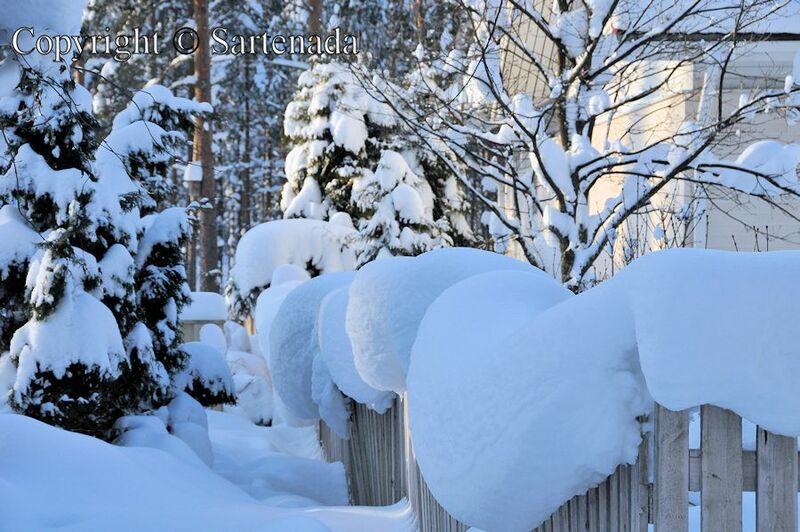 Thank you visiting my blog and loving my winter / snow photos. 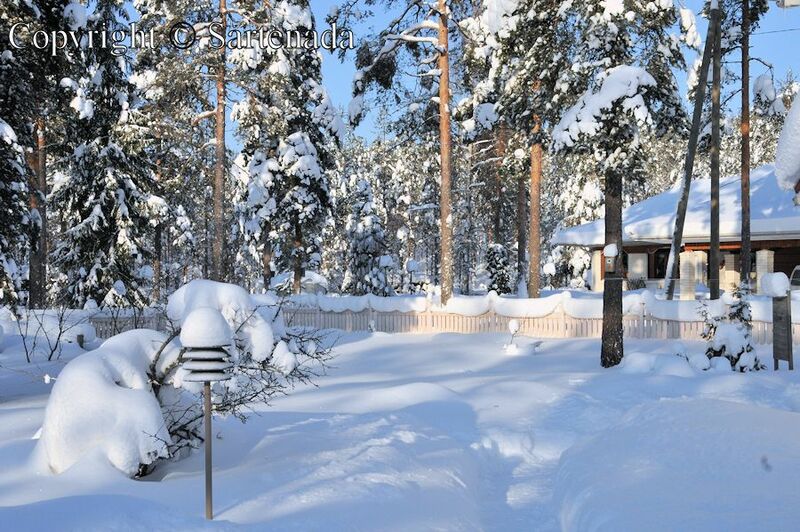 That’s what our normal winters look like here too but this year we’re still waiting for snow…very disturbing as evidence of climate change is clear. Wishing you a merry Christmas. It will feel fresh air in snow. Handmade Christmas leaf is wonderful. How nice that You loved Christmas wreath and snow photos. Thank you. 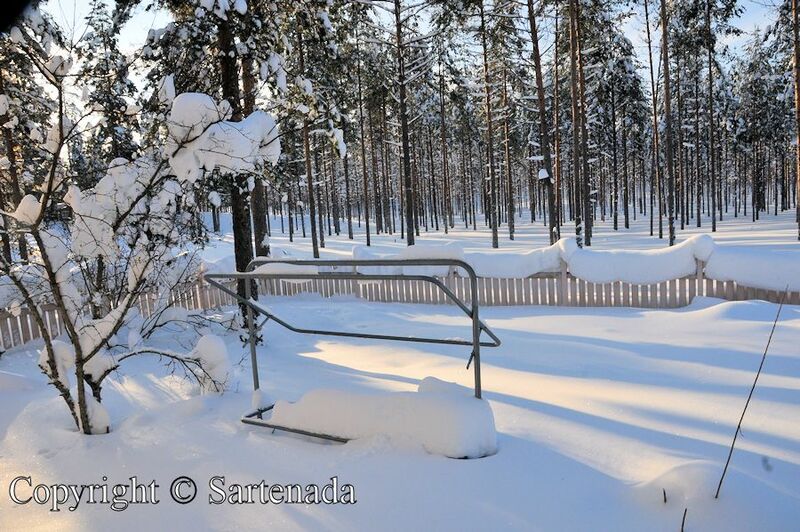 It’s fun to see your snow, since have not had any at all this winter! 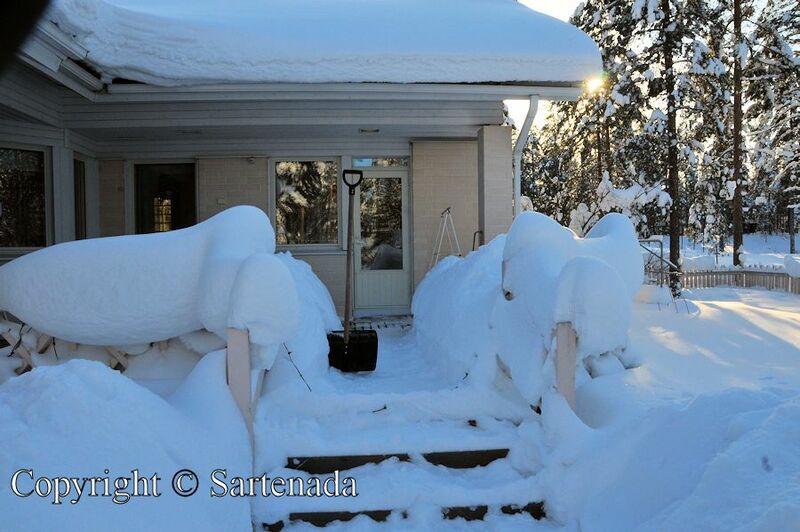 I can see why you need to plan carefully when shoveling! Normally, man could think that no planning is needed for shoveling, but snowy winters teach man. 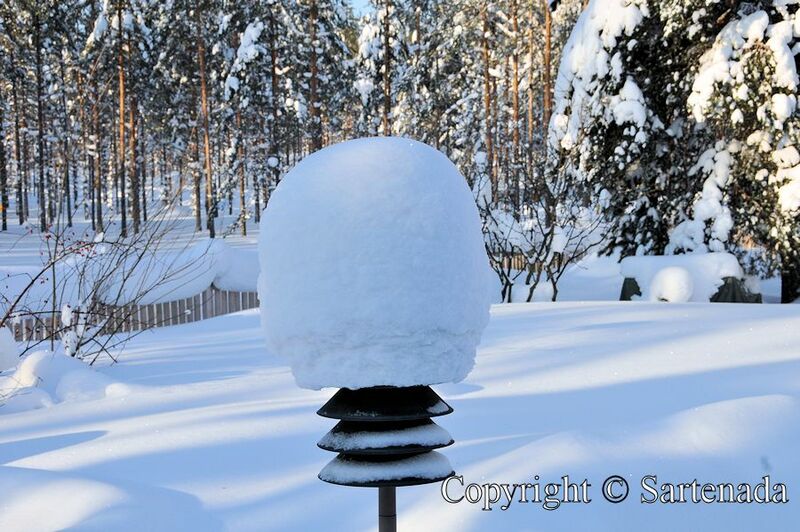 At this moment, half of Finland has snow cover. Thank You commenting. 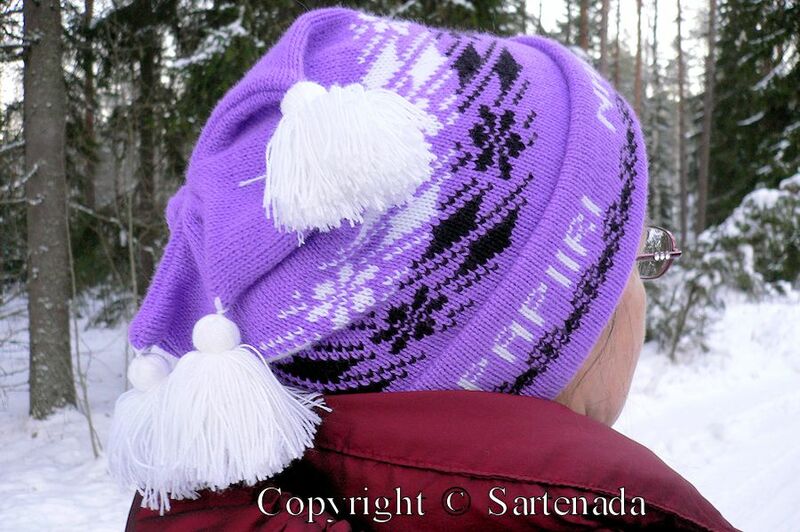 Yes indeed, I remember also two winter when Helsinki was covered by snow. Than You leaving Your comment. How nice that You loved my snow photos. This year the weather has been variable here sunshine, rain, slush, cold or whatever. Thank You for Your kind comment. So much snow! :) lovely wreath! How nice that You loved that simple wreath and other snow photos. My wife will be glad when hearing it. 18ºC is nearly T-shirt weather. 🙂 Toulouse – have You visited the Aeroscopia museum? Thank You commenting. Every year,I have little snow in my town. So I had not shovelling snow. It seems very hard…but,your photos are beautiful! Thank visiting my blog and leaving Your kind comment. 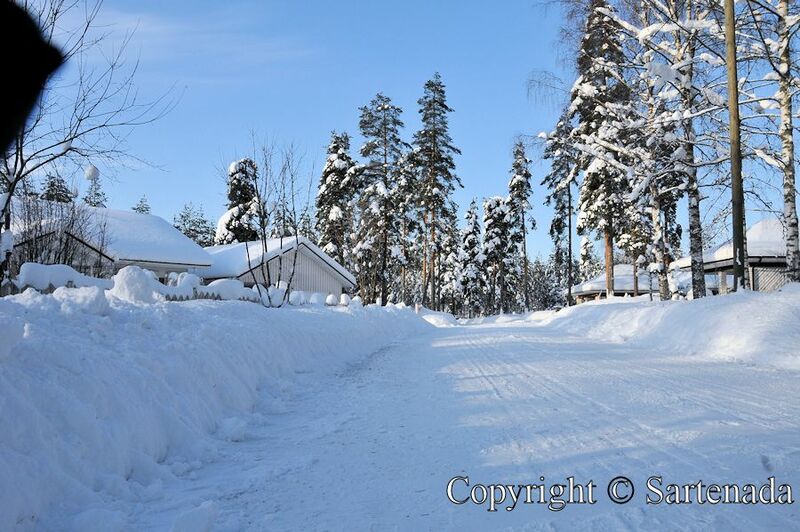 Well, shoveling is great fun, if man has not do it every day, then it is dull job. Sometimes it happened in winter so, that when being off from home one week or two weeks, had to shovel a couple of hours before able to drive to our home and carry then our luggage to home. It was just life! Tu es un veinard, chez moi, il fait quinze degré et Noël sera au balcon…. J’aime tes photos, merci pour le partage. Peut-être que je suis un veinard en ayant 4 saisons de l’année. Nous aimons notre balcon, car il prolonge l’été. Maintenant, nous avons tellement froid que ce sera pour la prochaine fois Mars pour le visiter. Merci beaucoup! There’s no snow in Venice, it’s too warm this year. I really like the wreath your wife made. Buon Natale to You also. 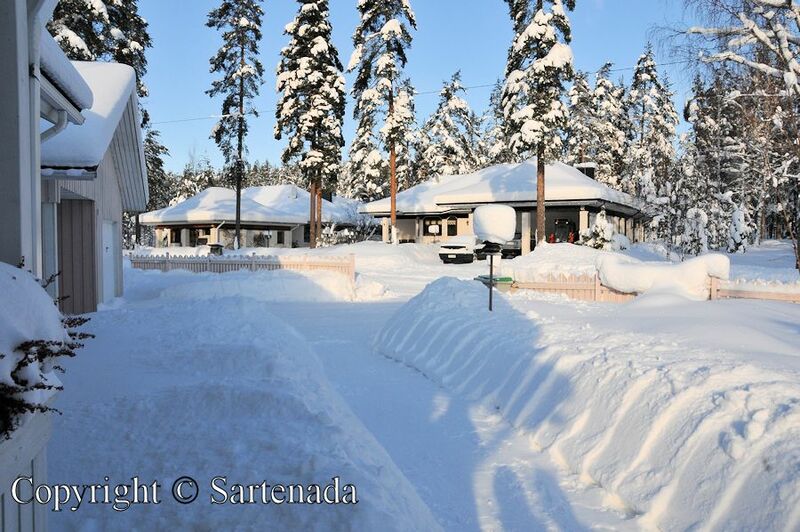 The winter wonderland looks fantastic – however what a lot of snow which has to be shoveled and handled! 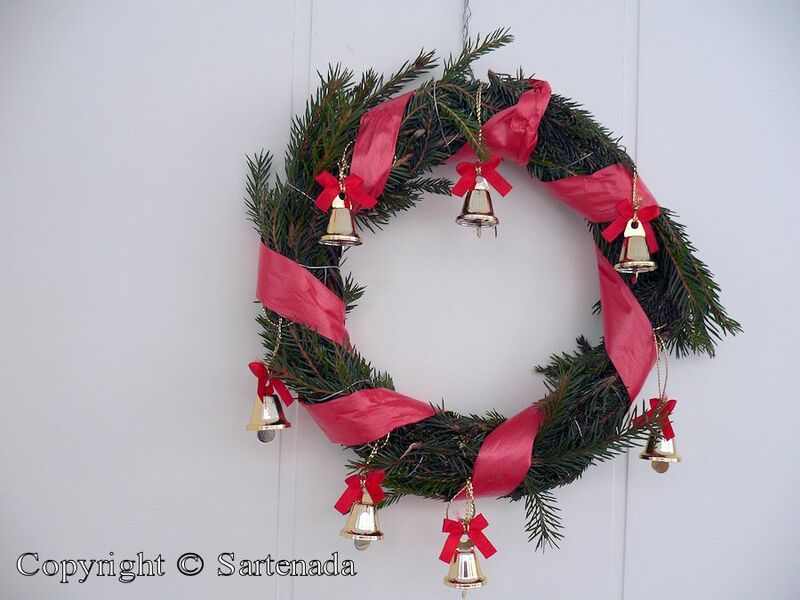 I like the Christmas wreath Anja created! Looks rather festive with its red ribbons and the shining little bells! 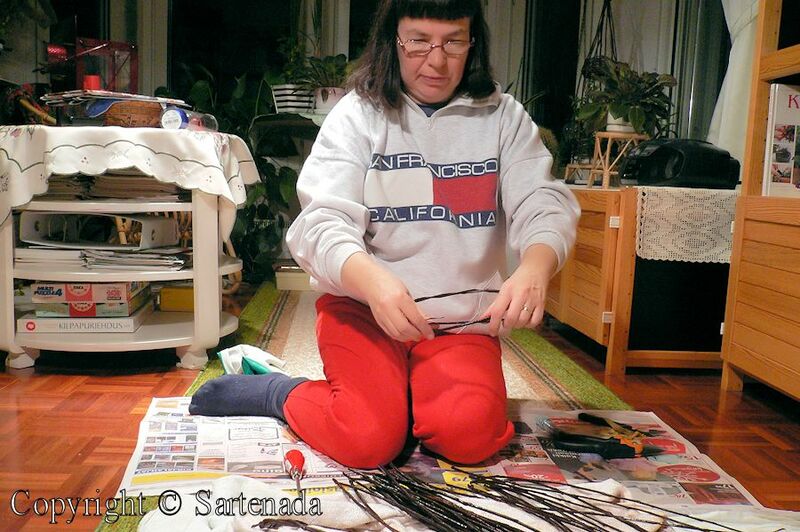 Thanks for showing how to do and how to prepare the willow branches. Merry Christmas Matti and best regards to Anja, too! Thank You for Your kind comment. 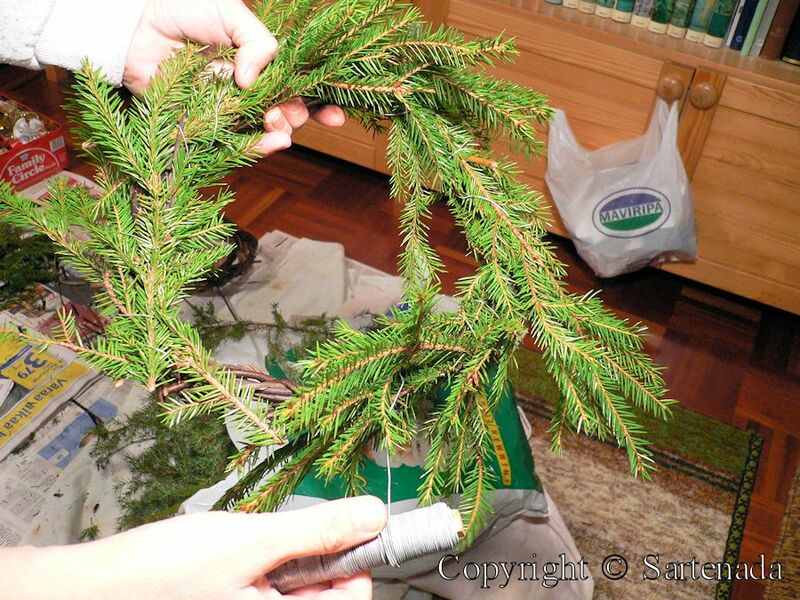 Anja will be very happy, when hearing that You love her first wreath. 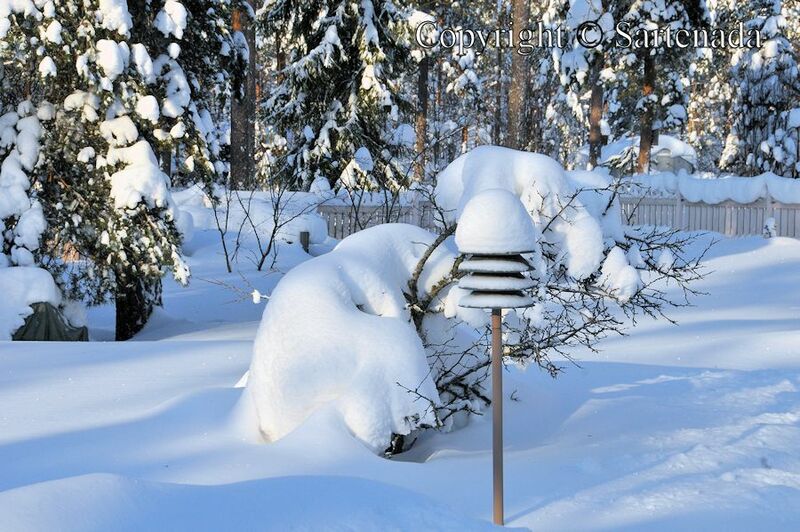 When it snows enough, Helsinki is “topsy-turvy”. It happened in 2011 and I was lucky to visit Helsinki then. Thanks for mentioning the former blog post and giving the link to it. I had a look and liked it a lot! Thank You. You are welcome. Happy New Year! Me alegra que te gusten mis fotos y la corona! Muchas gracias al hacer tu comentario tan amable. Mi esposa le gusta al leer tu comentario acerca de su corona. Feliz Navidad y feliz año , mi querido Matti! Mi Corazon canta al leer tu comentario tan amable, querida amiga. Su comentario sobre la corona es importante para Anja. La corona fue el primero que hizo! ¡Feliz Navidad y feliz año para ti ya los tuyos! Merry Xmas 🙂 Hope life is treating you well. Beautiful photos. Wish we had snow in Paris. Way too war here! Thank you remembering me and commenting so nicely. Merry Christmas to and yours. I’m jealous of all the snow. Now back in the US, most people here are thrilled that it is warm this winter and no sign of snow. Finland wore off on me and I’m sad that it is so warm and there is no snow. Please send some this way! Thank You. I am in a small town where we have snow. Thus, I’ll send some to You. 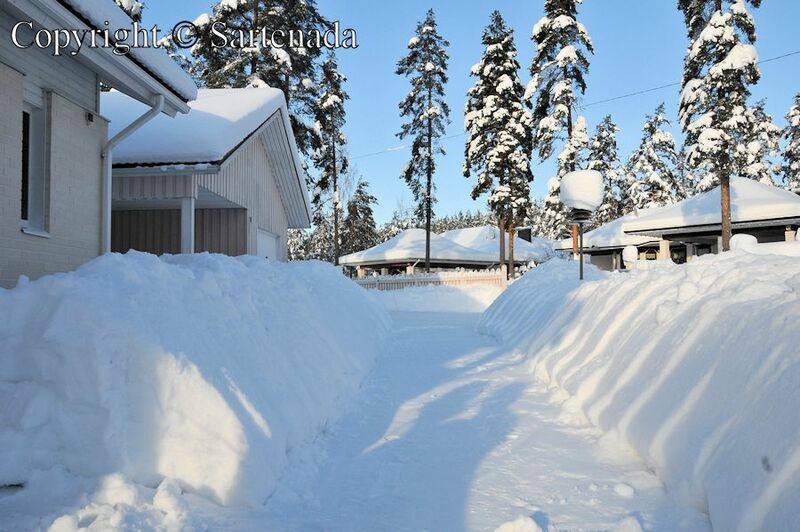 I am impressed of all the snow you have up in Finland! That’s so beautiful in these Christmas days! And also my best wishes for you both for a white and Merry Christmas – and a peaceful and happy 2016! Thank you for Your praising comment. Now You saw how we lived nearly twenty years before moving to a small town. Merry Christmas and Happy New Year 2016 to you and Yours. Have a lovely Christmas 🎄 with all the beautiful snow ❄. Thank You. Merry Christmas to you also. I am glad that You loved my photos and my wife’s Christmas wreath. Thank you for Your kind comment. The temperature here is warmer than usual year. So we can’t spend white christmas in Tokyo. Thank you for your pictures of beautiful view of snow. Yes, it is our custom to take off shoes when we enter the house also in Japan. Please take care of yourself, and I wish you and your family the best for 2016! Thank you very much for your kind comment. I am glad that You loved my photos. When writing this we are barefoot in our home. All the good for 2016 to You. Una serie di foto veramente spettacolari, quanta neve, che meraviglia! Molto belle anche quelle dove fai vedere come si fa la ghirlanda per la porta. Grazie per queste belle foto. Tantissimi auguri per le Festività e l’augurio per un meraviglioso 2016. Come meraviglioso è il tuo commento! Sono contento che ti piace il mio foto della neve. Auguro anche a voi per le Festività e l’augurio per un meraviglioso 2016. Grazie mille. beautiful wreath. beautiful snow world…. Sorry being late with my answer. Thank You for Your praising word. I am glad that You loved my photos. Thank You for visiting and commenting my post. I wish to a Happy New Year 1016. Thank You for You kind comment. 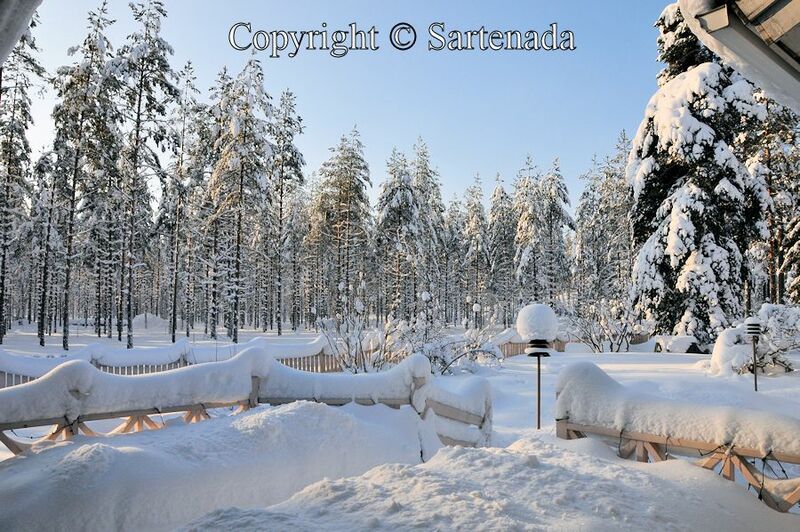 I am glad that You enjoyed my winter photos. Bellissime immagini… qui al sud della Svizzera la neve manca e voi ne avete tantissima! Che bello!!! Adoro le foto dimostrative di tua moglie che confeziona la ghirlanda natalizia… i miei complimenti! Auguro a tutti voi un anno “migliore” in ogni senso, e possa la salute sempre essere con voi (la buona salute è il regalo più bello che si possa sperare). Ti ringrazio per il commento! La neve è bella e l’inverno durerà circa tre mesi. Thank you for sharing beautiful views of your winter! Thank You for Your warm and kind wishes. It is pleasant to read that you loved my photos. 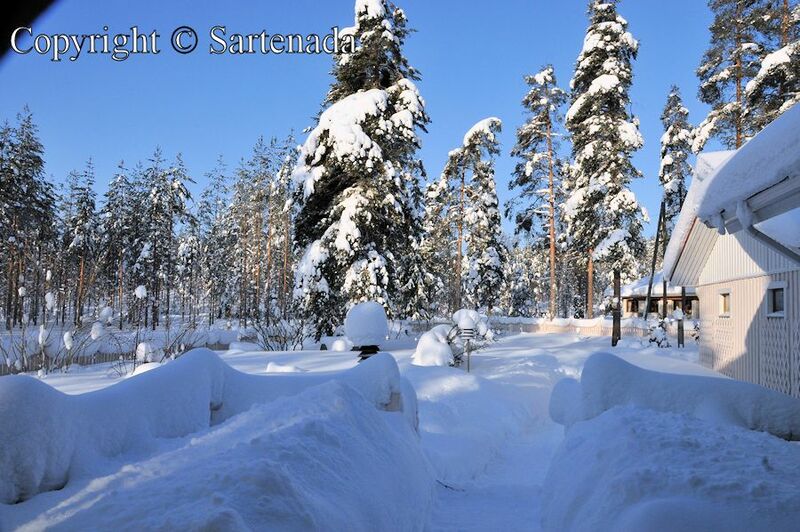 Wonderful snow pictures, Matti! 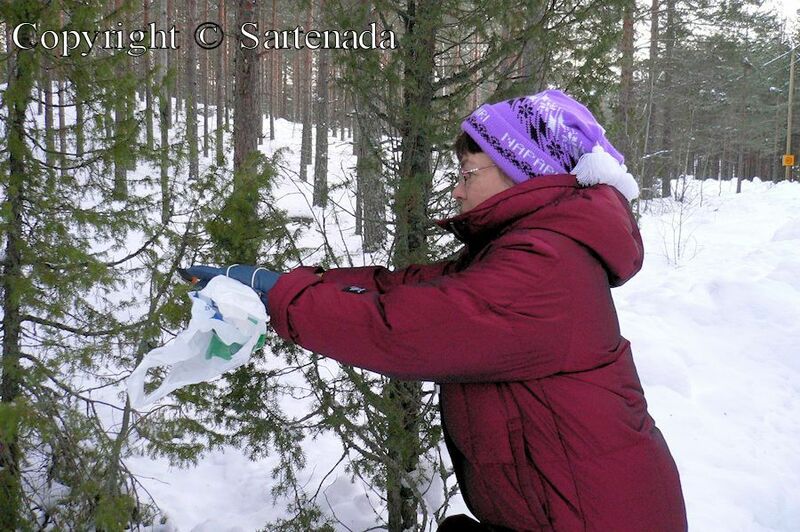 When I was in Helsinki and on the countryside early December, there was only a dusting of snow one morning. Happy New Year to you both! Snow is beautiful when it is new. Thank You for Your kind comment. All the best to You for 2016. Je suis heureux que vous aimiez la démonstration de ma femme comment faire une guirlande de Noël. Aujourd’hui, nous avons très peu de neige, mais nous avons froid. La température était ce matin -16,4 ° C. Brr. Le lac Saimaa, à environ 30 mètres de notre maison, est maintenant gelé et dans quelques jours, il est sûr d’aller à pied sur elle. Your snow pictures are so beautiful and almost make me want snow! Thanks for stopping by my blog earlier. It was nice to return the visit and meet someone new. I am glad that You loved my snow photos. Now we have cold, but less snow. Thank You for Your kind comment. What a gorgeous winter wonderland! I hope you are having a spectacular 2016 so far. Best wishes. Thank you for your praising comment. Thank You. I love the contrast of the Red houses with the white snow. Very nice!!! Thank You telling Your opinion about my photos and find them great. 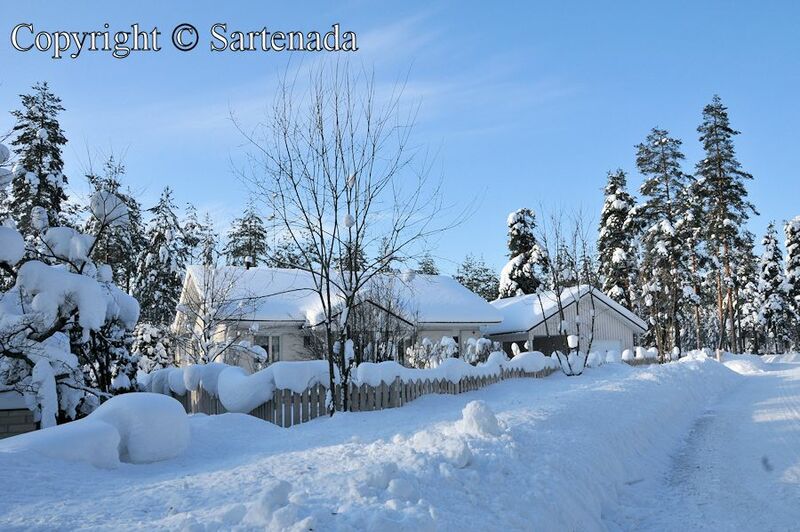 I grew up in snow country – Michigan- USA. Though I don’t miss it, you do take beautiful pictures of it! 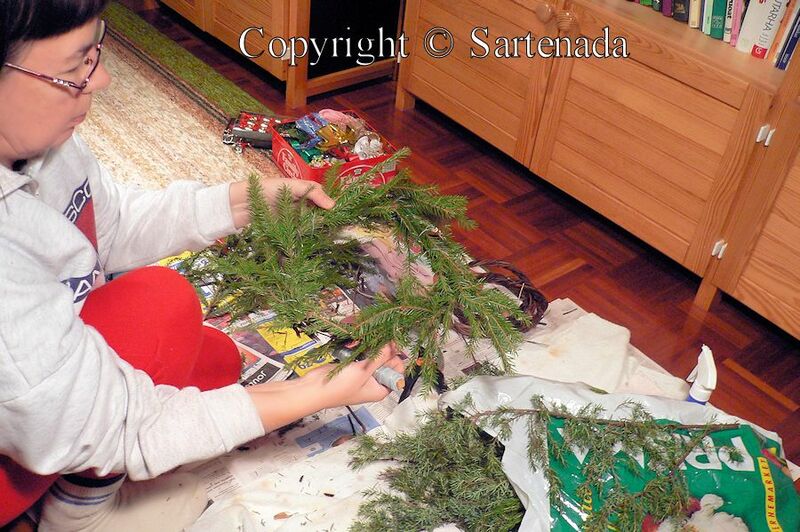 And the wreath making pictures were great! I will follow your blog and may email you also. I am glad that You loved my snow photos and loved how my wife made the Christmas wreath. Thank You leaving so nice comment. Que lindas fotografias ! 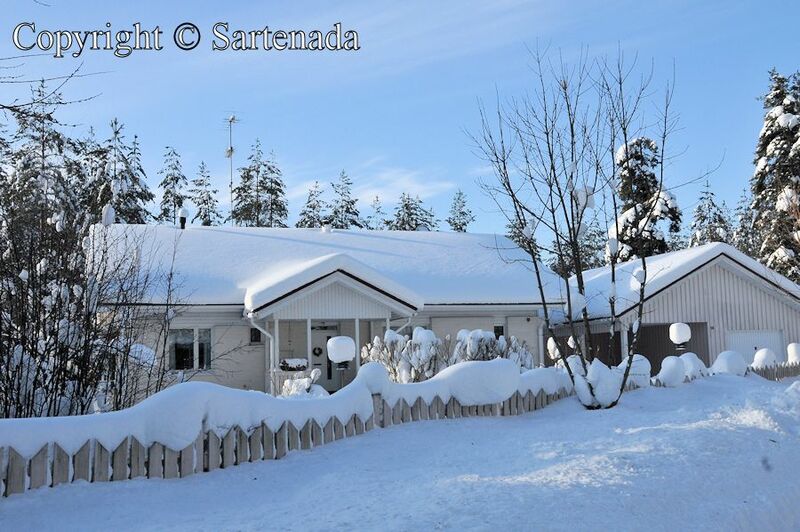 adore la pequeña casita para el correo, y los arboles con nieve parecen de cuento , la corona de navidad es muy bella. Estoy muy alegre que les gusten mis photos de invierno. Muchas gracias por el comentario. Shoveling is hard, but it keeps man in good condition. Thank You. I love this post, so beautiful. I have always loved making wreaths…thank you for sharing this story and all these beautiful photos. You made my day! Thank You for Your praising comment.